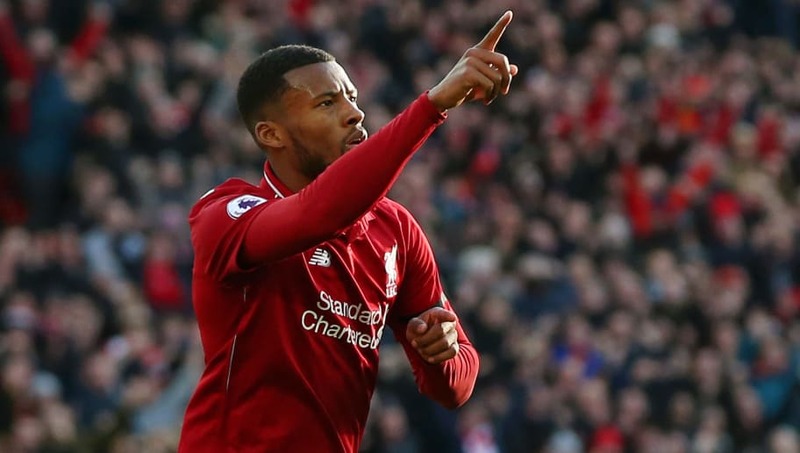 ​​Liverpool midfielder Georgino Wijnaldum has claimed that they are capable of challenging on two titles, both the Premier League and the Champions League, claiming that the team have improved from last season. The Reds had lost their considerable lead at the top thanks to two consecutive draws but have a game in hand that would increase their lead over Manchester City if they can win that match. Although City are back at the top thanks to their resounding 6-0 win over Chelsea, Wijnaldum believes that the team need to put aside the frustrations of the draws and keep winning the rest of their games. “We had two draws in a row and that didn’t feel that good,” he added. “But if we had been told that at the beginning [of the season] you will have this kind of points  everyone would have taken it. It remains to be seen how far Liverpool can go in the Champions League, considering they have to face Bayern Munich in the round of 16 tie.